​Brand New Packaging, Same Great Product! Visit our retail location downtown, in beautiful Houghton, Michigan! Click the "About Us" tab for more information and to view our current retail store hours. Too busy to visit our brick and mortar storefront? Shop online from the comfort of home! 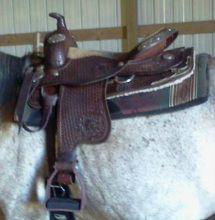 Bring your used saddle in today and sell it here! We advertise our consignments online as well,and we have great turnover!